Thère du Pont has served as President of the Longwood Foundation since 2008. As part of this role, he completes half of the grant proposal evaluations and runs the Information Sessions for prospective applicants. 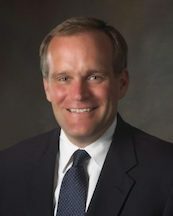 He is a member of the Board of Directors of the DuPont Company, WSFS Bank, and Burris Logistics. Previously, du Pont served in several key positions at Wawa Inc., including President and Chief Financial Officer as well as Senior Vice President for Operations and Chief Financial Officer for drugstore.com, inc.
You can reach Thère at 302-683-8207.